...or if it isn't yet in your neck of the woods, it will be soon! This has me thinking about scrapping another layout about my daughter's 1st day of school (I took the picture, of course). It's also reminding me that I really need to get started on that school-only album I've been meaning to get started for her...this is her fourth year of school already! One thing is for certain. Whenever I do get around to these projects, there are plenty of school themed products out there to choose from. The Teacher's Pet Collection has to be my favorite new line that is completely school related. There are papers, rub ons (see on set below), stamps, stickers, felt pieces, ribbon and flowers. I may just have to do some 'stocking up' on this line for that school album for Kaitlin. 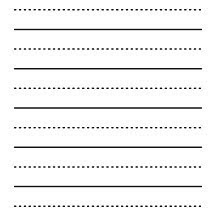 What could be more perfect for adding some handwritten journaling to your school pages than this penmanship lines stamp. 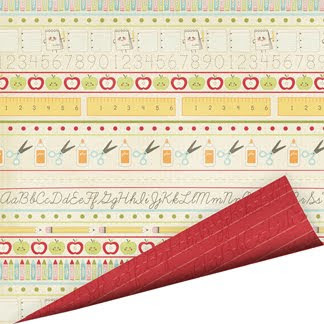 I've been a long-time fan of LYB and these journaling blocks are just simply sweet! What a great way to add classic school colors and fun to a school-themed layout!! 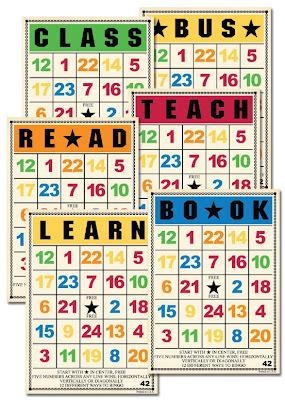 You could also use the numbers on the card to highlight your child's age and/or grade level. I'm a sucker for great rub ons and these certainly fit the bill. They could act as page titles or a supporting design element. See more great school-themed products in the right sidebar under SCHOOL PICKS. 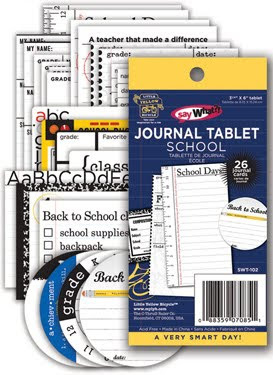 Do you have a product that you just can't wait to use on your next school-themed project? Give us a link!